A brand new digital photographic technique could help doctors better predict eye diseases. In particular, this new type of medical photography could help with glaucoma screenings. This new study comes out of the University of Rochester Medical Center and Pitt University. The research teams involved in this study took various digital photos of cells within the human eye. They were specifically looking to capture the transparent retinal ganglion cells (RGCs), which can signal the start of glaucoma once they start to deteriorate. Professors involved on this study tested their new photographing method on both monkeys and people without glaucoma. Amazingly, their new method of photography was able to capture these transparent cells on camera. Eye care professionals have described the results of this study as "groundbreaking." The head researchers on this project were Ethan Rossi, an assistant professor of ophthalmology at the Pitt School of Medicine, and David Williams, a dean at the University of Rochester. Although there are different varieties of glaucoma, all of them adversely affect the optic nerve. Unfortunately, before glaucoma symptoms become discernable to most patients, irreversible damage has already been done to the RGCs. This is why regular eye exams and preventative screenings are so important, especially as people age. If not caught early, glaucoma can lead to complete blindness. Before Rossi's discoveries, doctors just ignored imaging for RGCs. Since these cells are transparent, doctors never believed you could actually capture them on camera. Instead, many doctors even today measure the eyes' thickness to estimate the amount of RGCs in the eyes. Rossi was able to effectively get an image of these RGCs by measuring the inherent imperfections in our eyes' neurons after taking pictures from different side angles of the eyes. He then took these pictures and analyzed them by scattered light images to see how many RGCs were in the eyes. There were, however, a few problems researchers ran into while doing these tests. The main issue was finding the optimal distance the camera should be placed away from the eyes. One researcher, a PhD candidate at the University of Rochester named Charlie Granger, told reporters, "The farther out you go, the weaker the signal will be. So that's one thing you have to fight." Despite this issue, researchers feel this study was a huge success. Both Williams and Rossi hope to use this technology on human glaucoma patients in the future. There's currently no cure available for glaucoma, but there are various preventative measures that can halt or slow down the progression of symptoms. 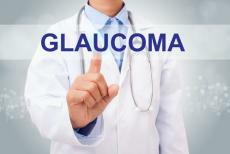 Most people diagnosed with glaucoma are prescribed eye drops, and some have to undergo surgical procedures. This study was published in the Proceedings of the National Academy of Sciences of the United States of America (PNAS) under the name "Imaging Individual Neurons in the Retinal Ganglion Cell Layer of the Living Eye"